Air flows from areas of high pressure into areas of low pressure because air always seeks out lower pressure. The combination of atmospheric pressure differences, Coriolis force, friction, and temperature differences of the air near the earth cause two kinds of atmospheric motion: convective currents (upward and downward motion) and wind (horizontal motion). 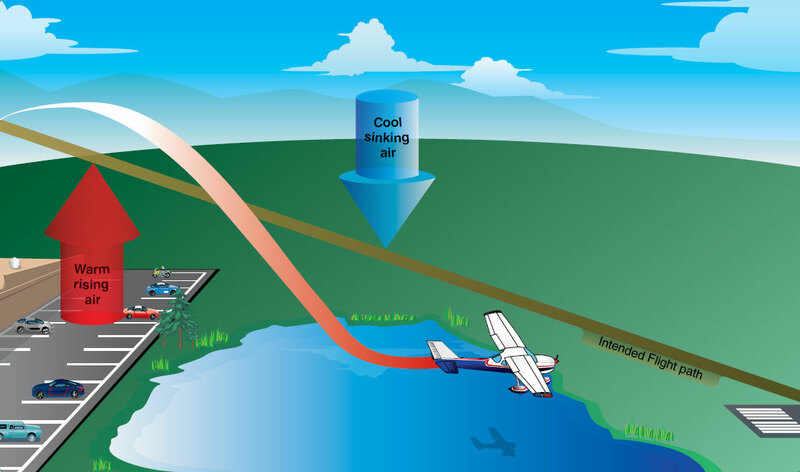 Currents and winds are important as they affect takeoff, landing, and cruise flight operations. Most importantly, currents and winds or atmospheric circulation cause weather changes. Figure 12-10. Circulation pattern about areas of high and low pressure. High-pressure systems are generally areas of dry, descending air. Good weather is typically associated with high-pressure systems for this reason. 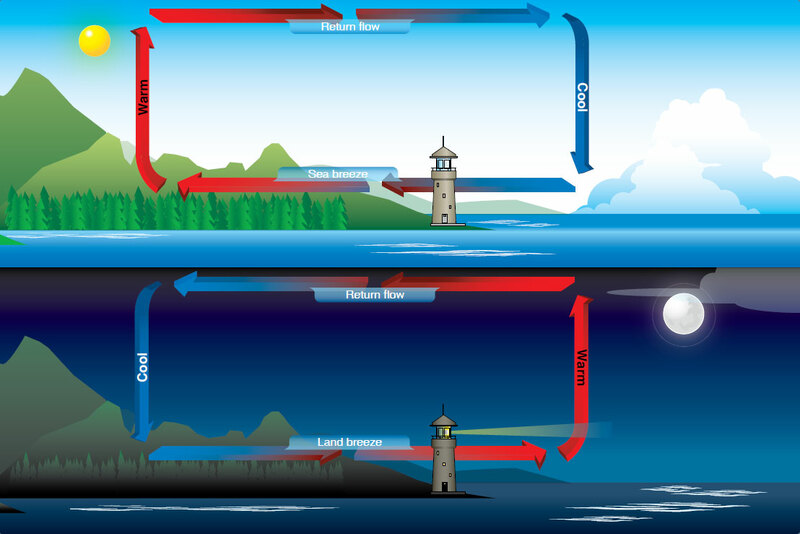 Conversely, air flows into a lowpressure area to replace rising air. This air usually brings increasing cloudiness and precipitation. Thus, bad weather is commonly associated with areas of low pressure. 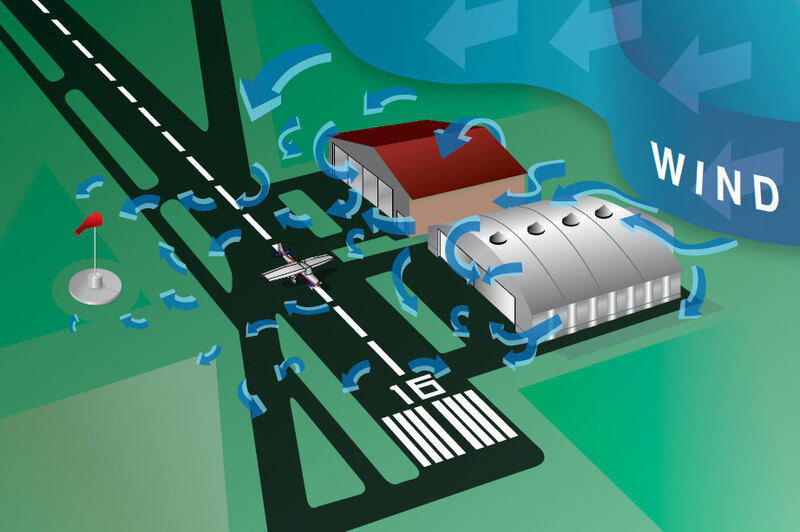 A good understanding of high- and low-pressure wind patterns can be of great help when planning a flight because a pilot can take advantage of beneficial tailwinds. [Figure 12-11] When planning a flight from west to east, favorable winds would be encountered along the northern side of a high-pressure system or the southern side of a low-pressure system. On the return flight, the most favorable winds would be along the southern side of the same high-pressure system or the northern side of a low-pressure system. An added advantage is a better understanding of what type of weather to expect in a given area along a route of flight based on the prevailing areas of highs and lows. 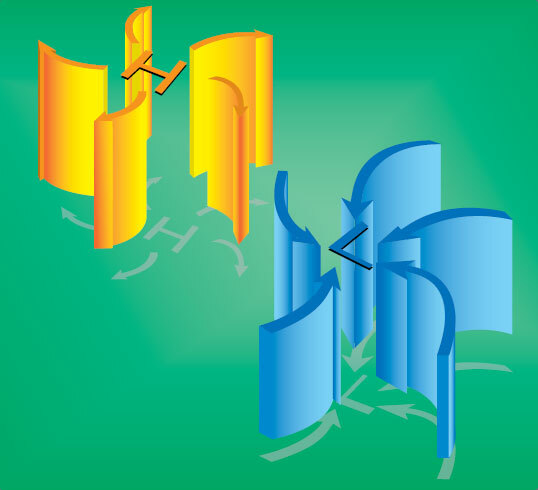 Figure 12-11. Favorable winds near a high pressure system. While the theory of circulation and wind patterns is accurate for large scale atmospheric circulation, it does not take into account changes to the circulation on a local scale. Local conditions, geological features, and other anomalies can change the wind direction and speed close to the Earth’s surface. Plowed ground, rocks, sand, and barren land absorb solar energy quickly and can therefore give off a large amount of heat; whereas, water, trees, and other areas of vegetation tend to more slowly absorb heat and give off heat. The resulting uneven heating of the air creates small areas of local circulation called convective currents. Figure 12-12. Convective turbulence avoidance. Figure 12-15. Turbulence caused by manmade obstructions. The intensity of the turbulence associated with ground obstructions depends on the size of the obstacle and the primary velocity of the wind. This can affect the takeoff and landing performance of any aircraft and can present a very serious hazard. During the landing phase of flight, an aircraft may “drop in” due to the turbulent air and be too low to clear obstacles during the approach. This same condition is even more noticeable when flying in mountainous regions. [Figure 12-16] While the wind flows smoothly up the windward side of the mountain and the upward currents help to carry an aircraft over the peak of the mountain, the wind on the leeward side does not act in a similar manner. As the air flows down the leeward side of the mountain, the air follows the contour of the terrain and is increasingly turbulent. This tends to push an aircraft into the side of a mountain. The stronger the wind, the greater the downward pressure and turbulence become. Figure 12-16. Turbulence in mountainous regions. Due to the effect terrain has on the wind in valleys or canyons, downdrafts can be severe. Before conducting a flight in or near mountainous terrain, it is helpful for a pilot unfamiliar with a mountainous area to get a checkout with a mountain qualified flight instructor.